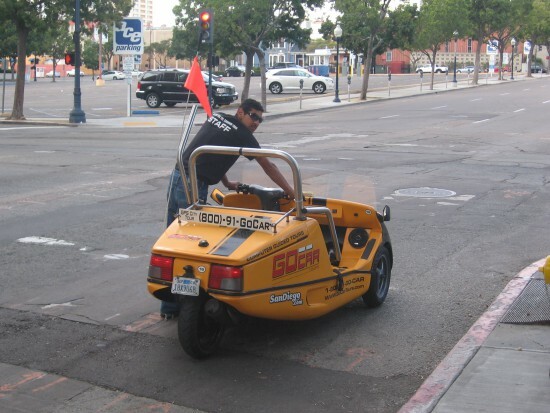 humor – Page 14 – Cool San Diego Sights! Train passengers confronted by huge gorilla! 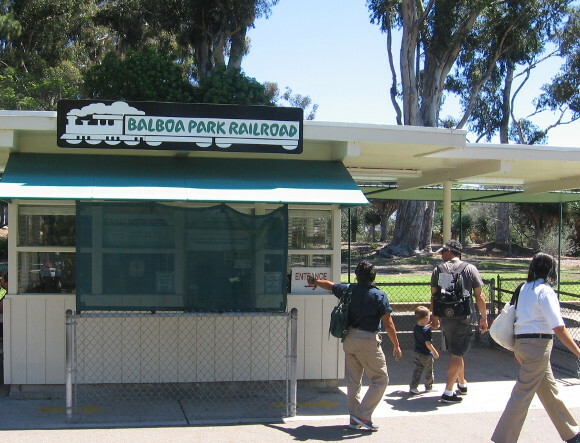 Passengers arrive at San Diego station of the Balboa Park Railroad! 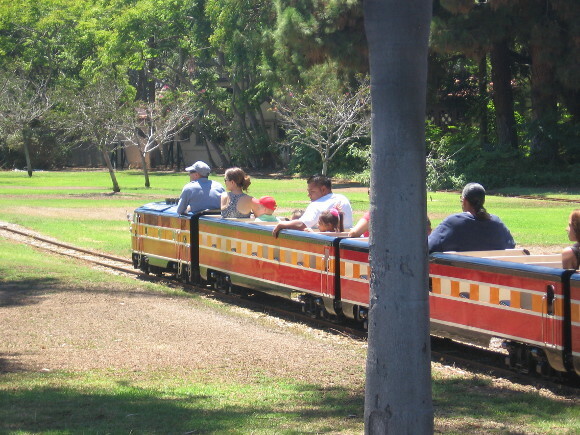 A train is now pulling right on schedule into the station. All aboard! Wait! I see a huge gorilla off in the distance! 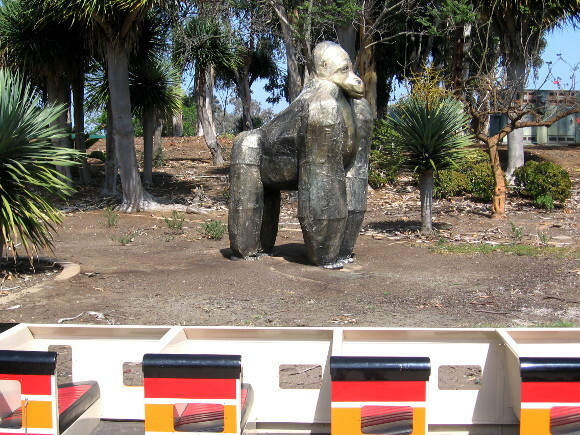 I wonder if this huge gorilla escaped from the nearby San Diego Zoo. The train departs on another exotic, unexpected adventure. Yikes! 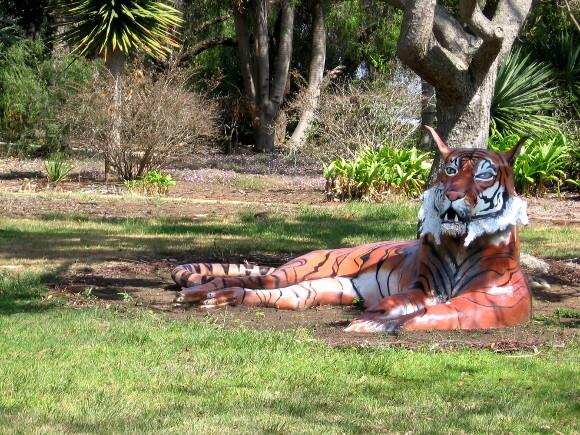 Now it’s a tiger that I see! There are wild animals all over the place. 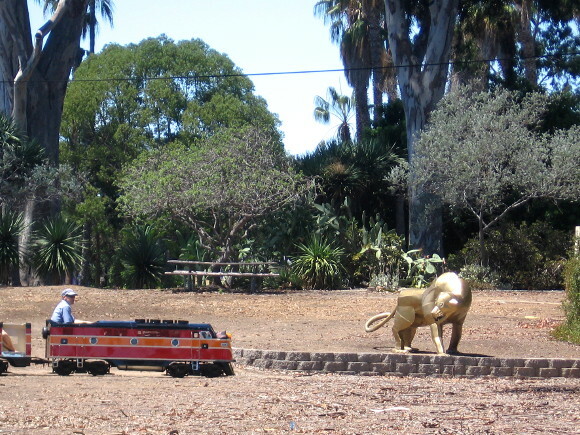 A silent lion watches as the tiny train glides through Balboa Park. 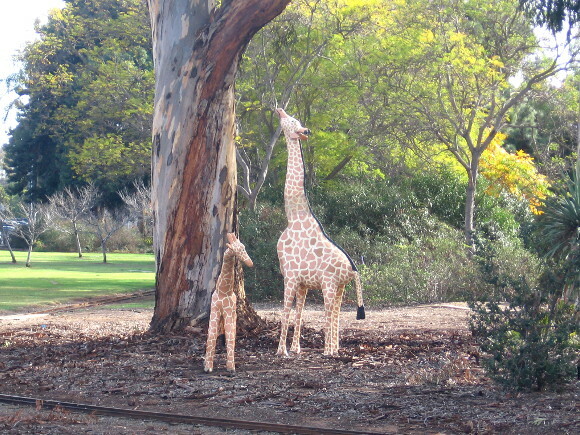 Giraffes seem to be enjoying some eucalyptus trees nearby. The folks riding the fun little train wonder what might come next. 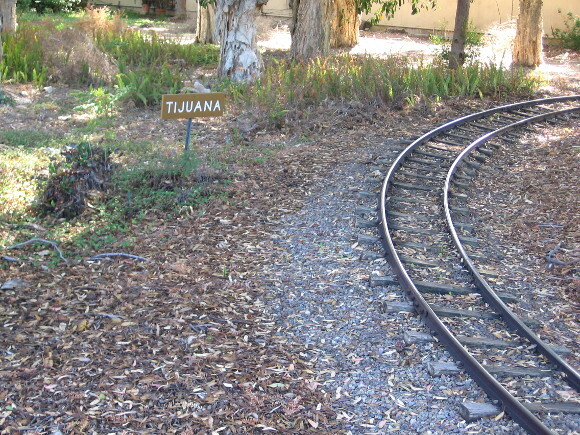 The tracks pass Tijuana! That was a very short trip! Sometimes ya gotta have fun with a blog post’s title, just to get a little attention! I hope you enjoyed my silly little excursion. 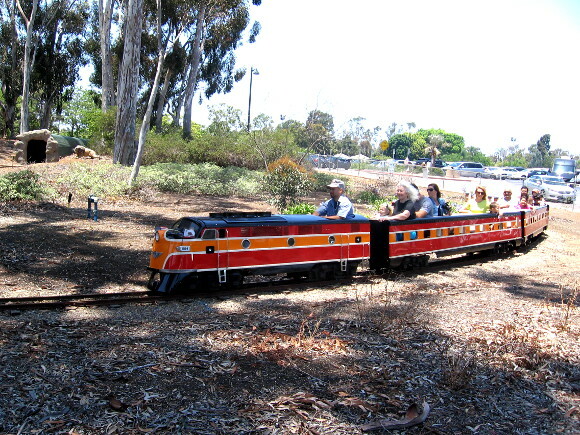 The Balboa Park Miniature Railroad can be found a few steps beyond the north end of Spanish Village in Balboa Park. 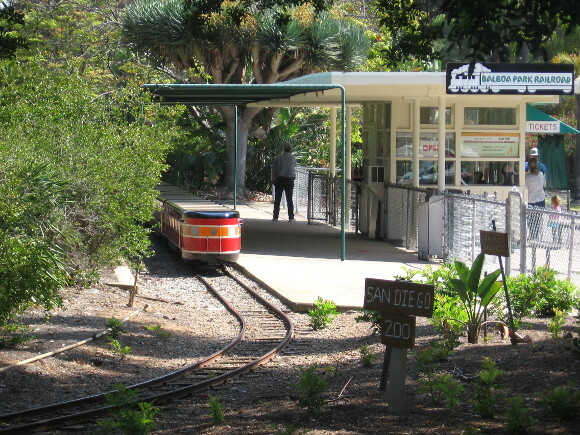 It’s sandwiched between the carousel and the San Diego Zoo. 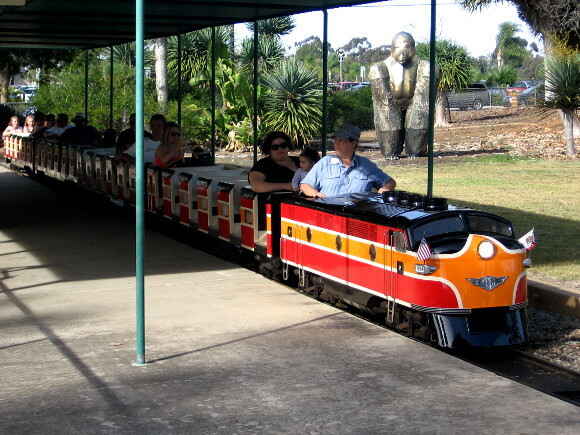 I remember riding the kiddie train back when I was an impressionable young whippersnapper. 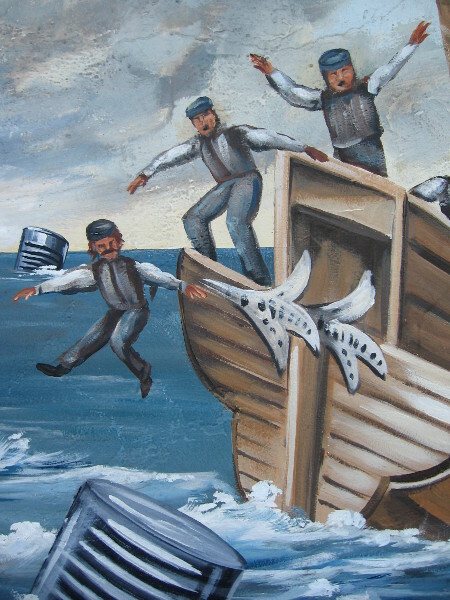 There were no animals sculptures back then. But it did have the same really cool tunnel near the end! 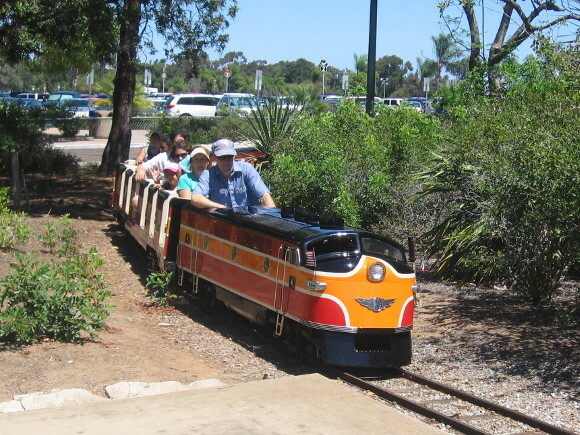 Posted on August 24, 2014 May 27, 2017 Tags animals, balboa park, cool, fun, funny, humor, kids, san diego, sculptures, silly, trains, travelLeave a comment on Train passengers confronted by huge gorilla! Evil Minions attempt to mimic superheroes! 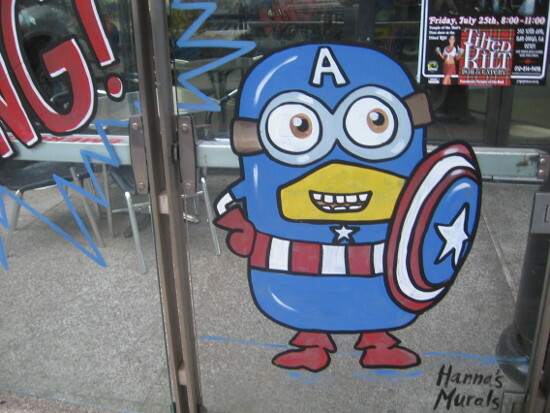 Funny Minion Captain America greets San Diego Comic-Con visitors! 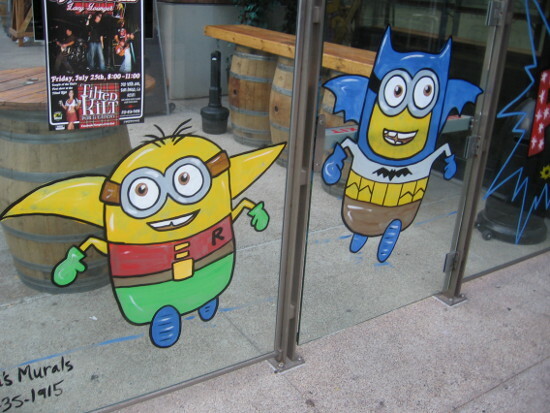 I spotted some evil, scheming Minions in East Village during the 2014 San Diego Comic-Con. They were impersonating famous superheroes! These cartoons painted on the windows of the Tilted Kilt were just plain silly, so I had to share them! 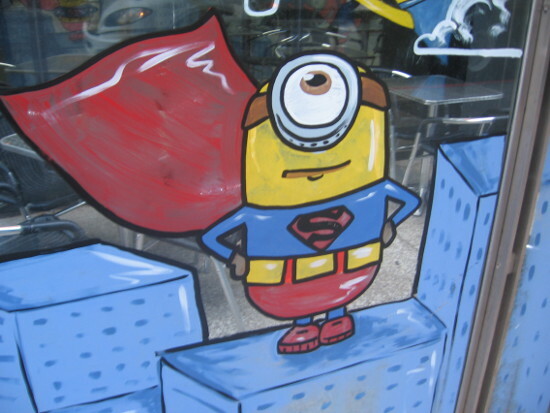 A truly despicable Minion tries acting like Superman for a change. 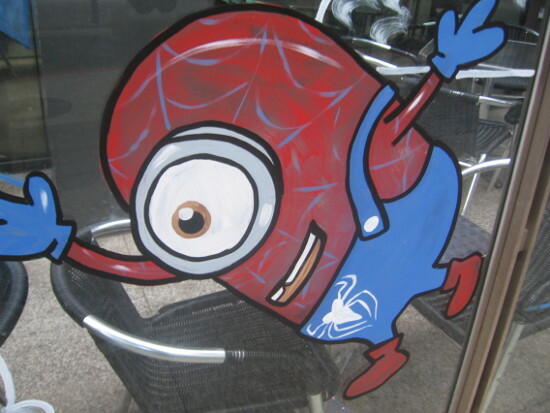 A Minion was spotted in San Diego stuck on a window like Spiderman. Those are mighty big claws for a yellow single-celled organism! 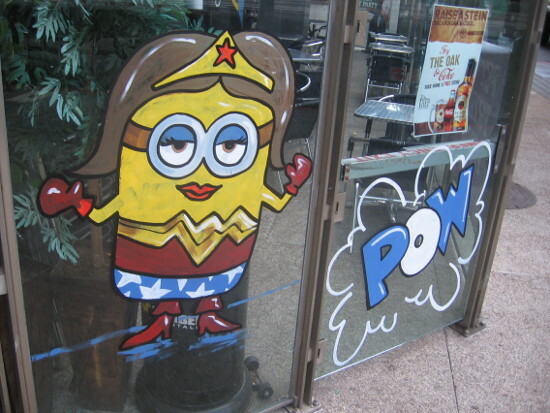 Minion impersonates Wonder Woman at the Tilted Kilt in East Village. Two eager Minions try against all odds to duplicate the Dynamic Duo. 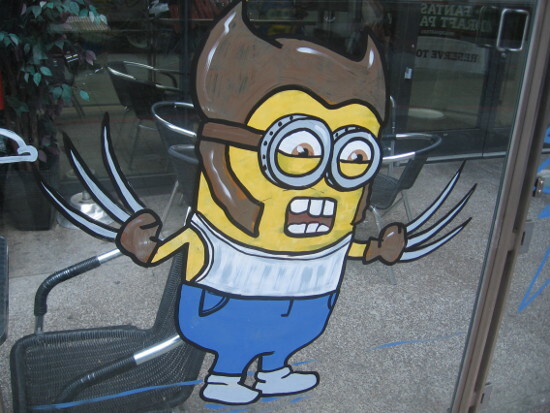 Posted on July 25, 2014 June 3, 2015 Tags art, comic-con, crazy, east village, funny, humor, pop culture, san diego, silly, street artLeave a comment on Evil Minions attempt to mimic superheroes! 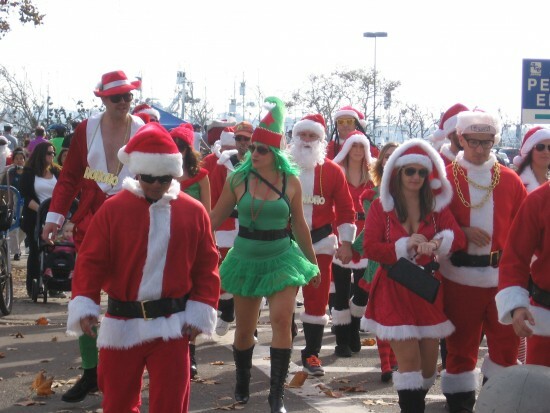 Funny double takes around San Diego! 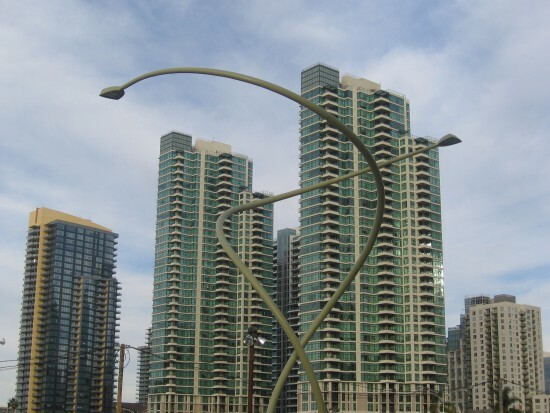 Two street lamps got themselves in a twist. Here are some funny cool photos for you to enjoy! 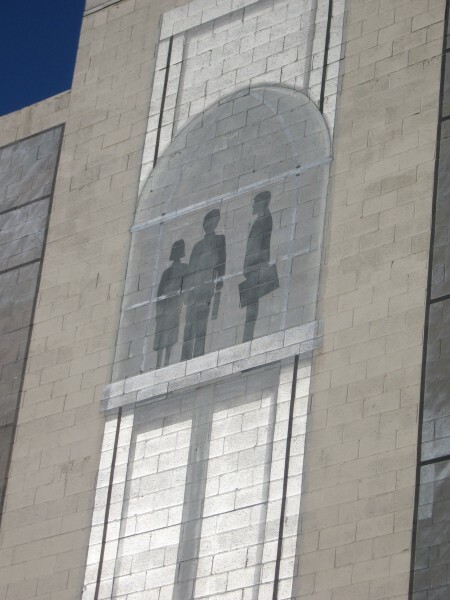 These were taken at various times in and around downtown San Diego. Once in while I have to blink and do a double take! 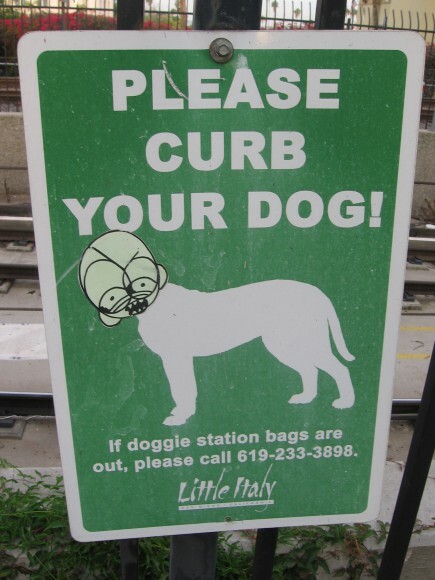 Sticker turns dog into an uncurbable beast. 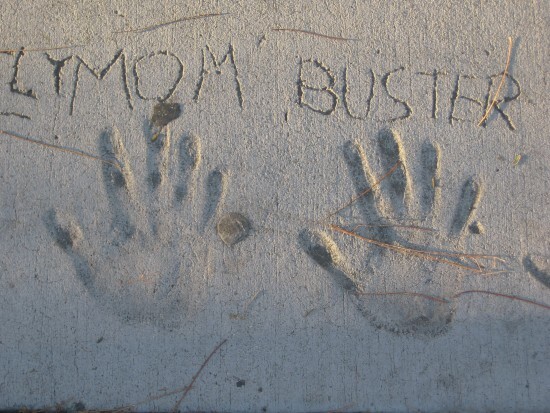 Buster stuck his hand in wet concrete. 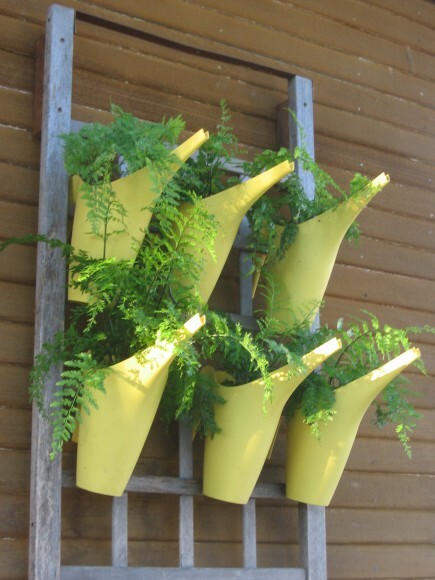 Someone has to water all these watering cans. 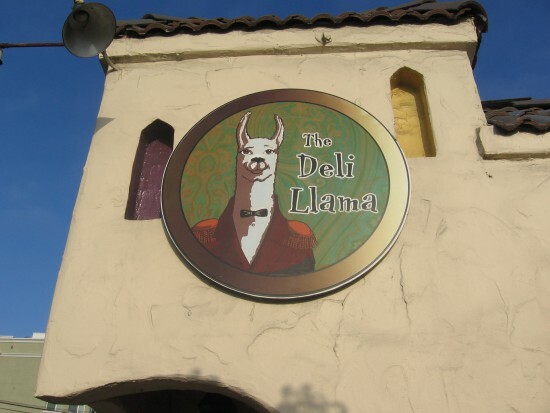 The Deli Llama is wearing his elegant best. 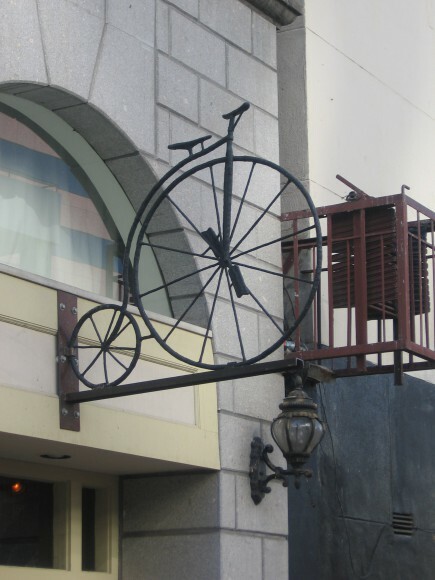 This bicycle can be ridden high above the sidewalk. This outdoor glass elevator is a bit flat. 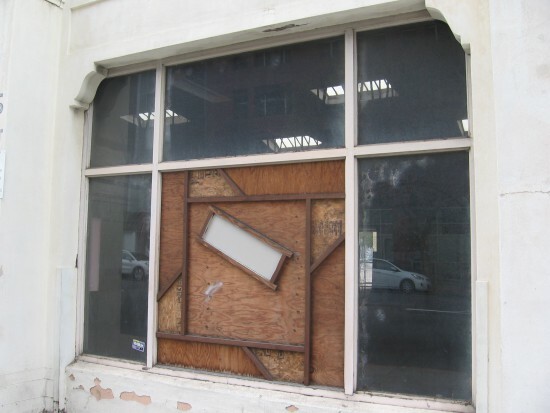 Stylish patch for an old broken window. 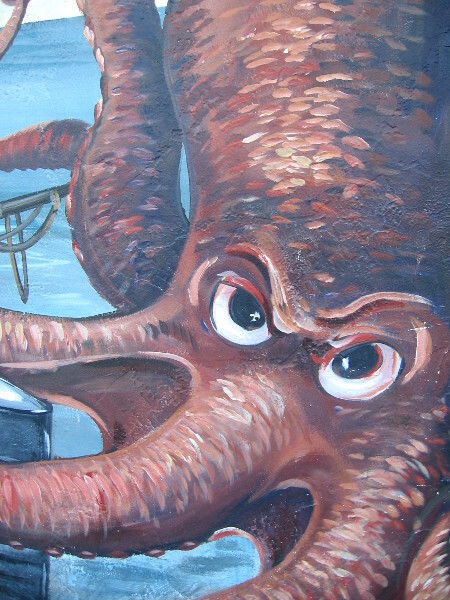 Posted on July 6, 2014 June 4, 2015 Tags cool, creativity, downtown, fun, funny, humor, photography, san diego, strange, weird2 Comments on Funny double takes around San Diego! No urinating allowed at The Beer Company! The diners at this downtown San Diego brewery and restaurant must suffer a good deal of bladder discomfort. Because according to this sign in their window, no urinating is allowed! 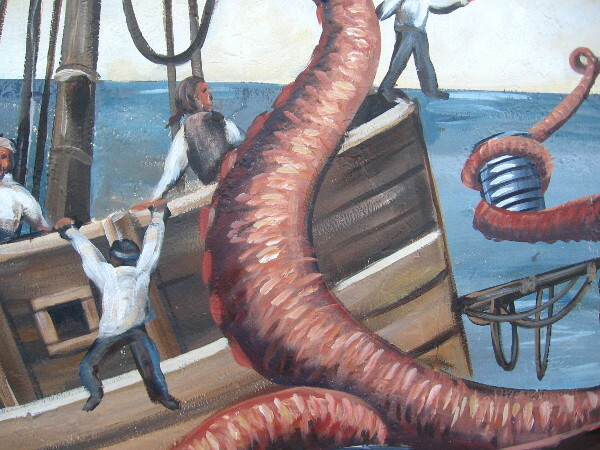 Don’t guzzle too much of that tasty handcrafted brew! 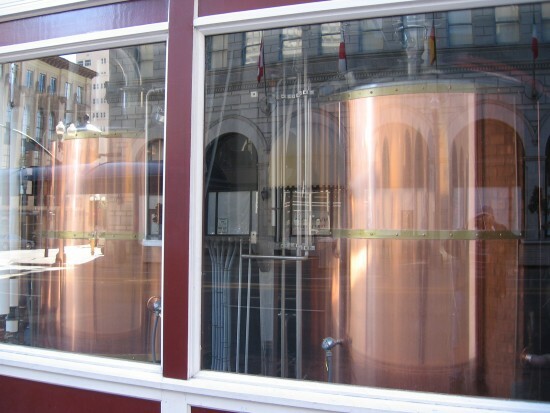 Beer fermentation tanks in a downtown San Diego window. But there’s so much to drink! 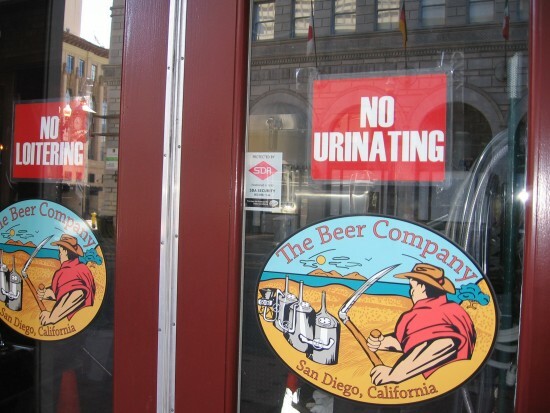 Posted on December 23, 2013 December 23, 2013 Tags beer, breweries, downtown, entertainment, funny, humor, restaurants, san diego, signs, windowsLeave a comment on No urinating allowed at The Beer Company! Super 8 sign stays at a Quality Inn. While walking through Mission Valley in the early morning, I did a double take when I saw this unusual sight! I assume the motel is undergoing a name change. Or perhaps the driver hauling the Super 8 sign stayed a night at Quality Inn! 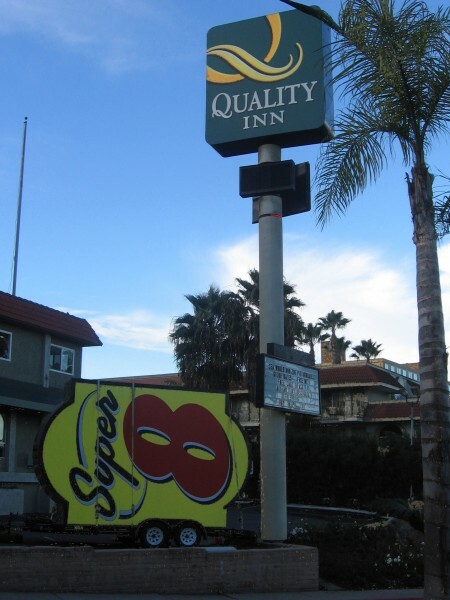 Posted on December 22, 2013 December 22, 2013 Tags funny, humor, mission valley, motels, san diego, signs, tourism, travel, walkingLeave a comment on Super 8 sign stays at a Quality Inn.